Tzatziki is a popular, traditional Mediterranean Diet recipe. 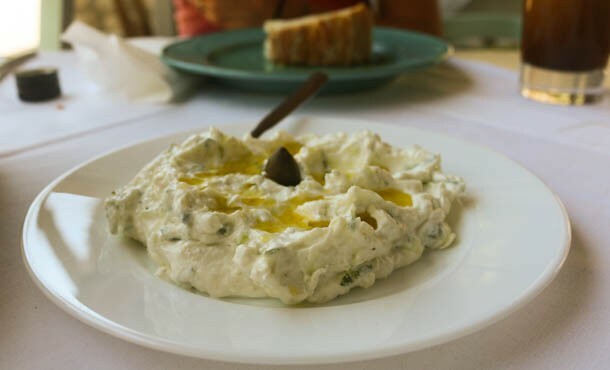 This Greek dip makes a delicious and filling appetizer or snack. It goes very well with dolmades or simply served with pita or cut vegetables. You can use more or less garlic depending upon your taste preferences. Sprinkle grated cucumber with salt. Let sit in a colander to drain for 10 minutes, then squeeze out excess water with your hands. Combine yogurt, cucumber, garlic, oil, dill and salt in a bowl. Mix well. You can either serve immediately or chill in refrigerator for 1 hour before serving.